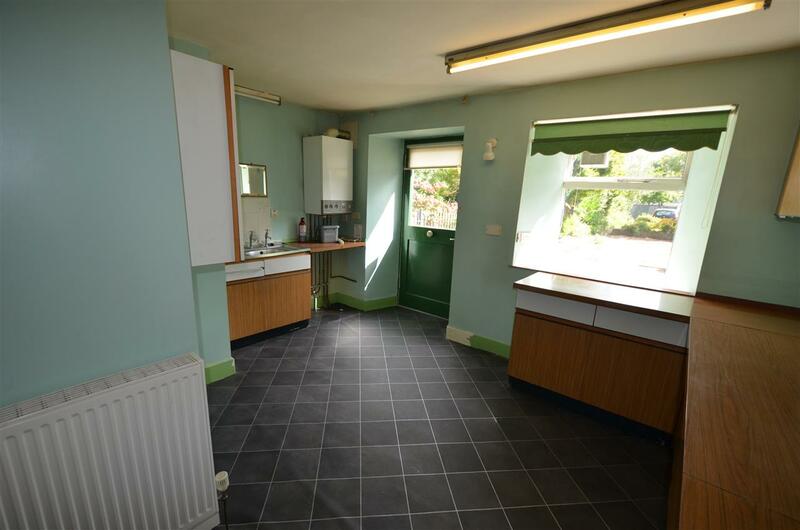 Spacious kitchen with back door to level private garden. 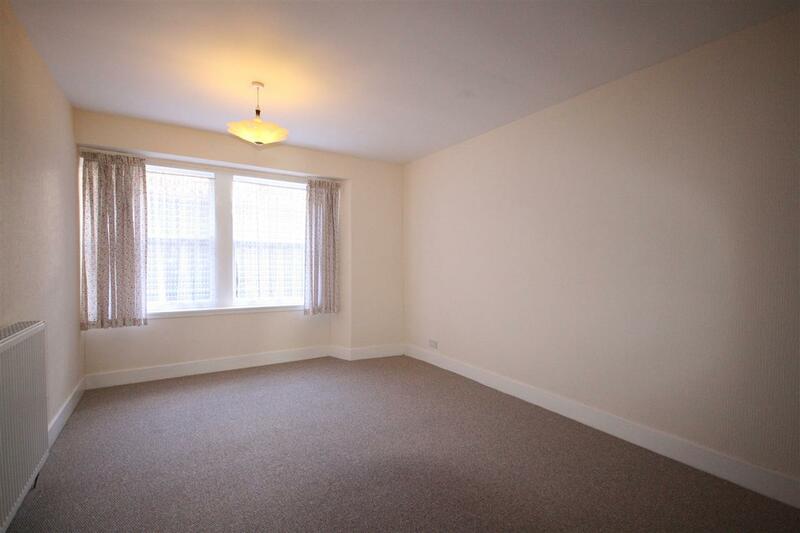 Although in need of some modernisation, early viewing of this spacious lower ground floor flat is recommended to fully appreciate the potential. 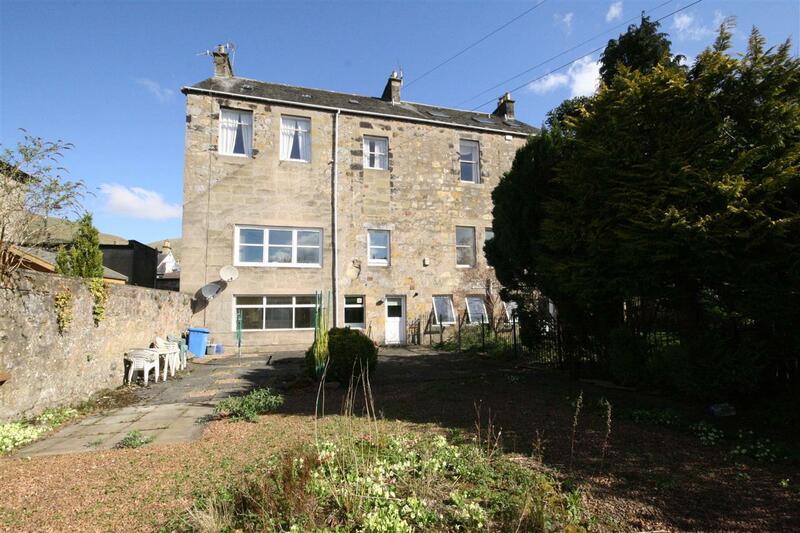 The property occupies an excellent central position within Dollar with all local amenities conveniently to hand. 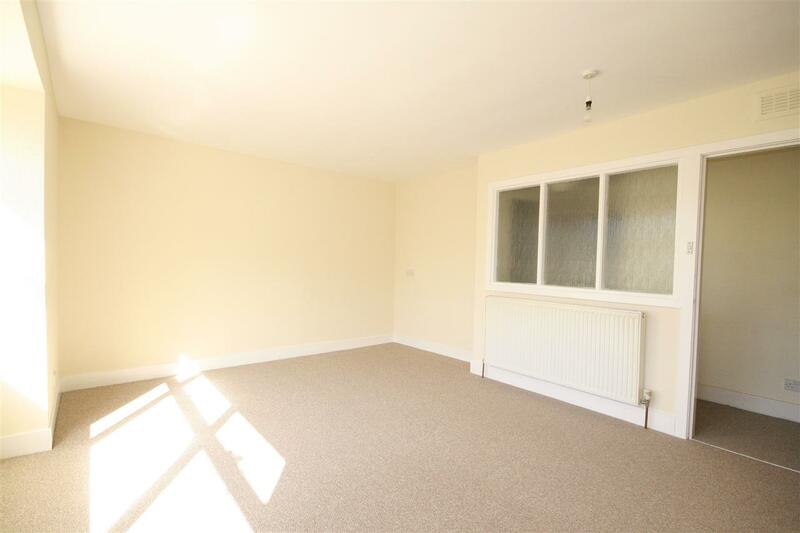 This property will appeal to a range of buyers, from first time buyers, those looking to down size or the buy to let investor after a readily lettable property. 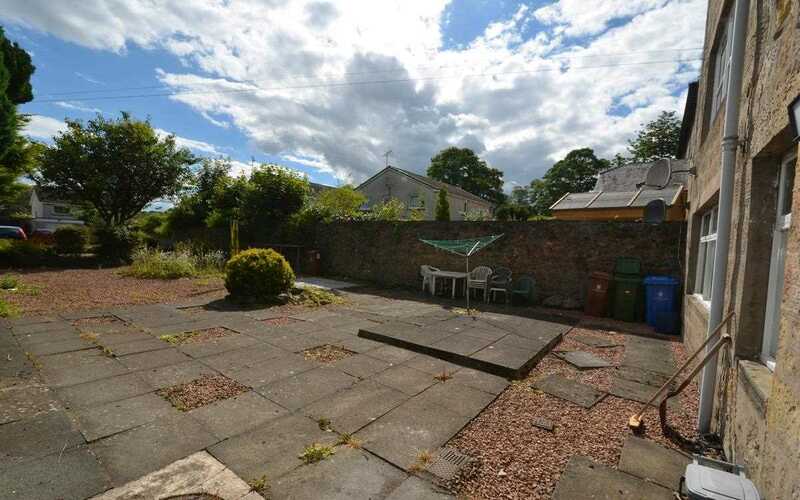 The property benefits from a private level sunny south facing rear garden. 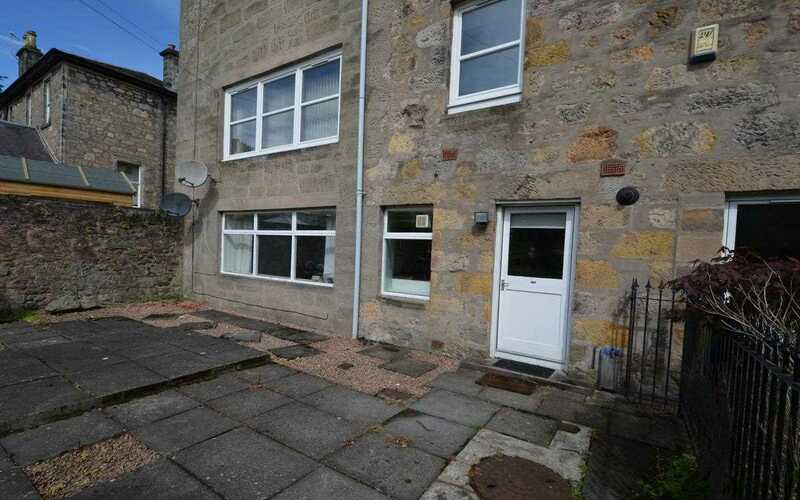 The property has main door ground level access to the rear from a lane off Park Place, private parking is available here. On-street parking is available in Bridge Street from where there is a further access to the property. 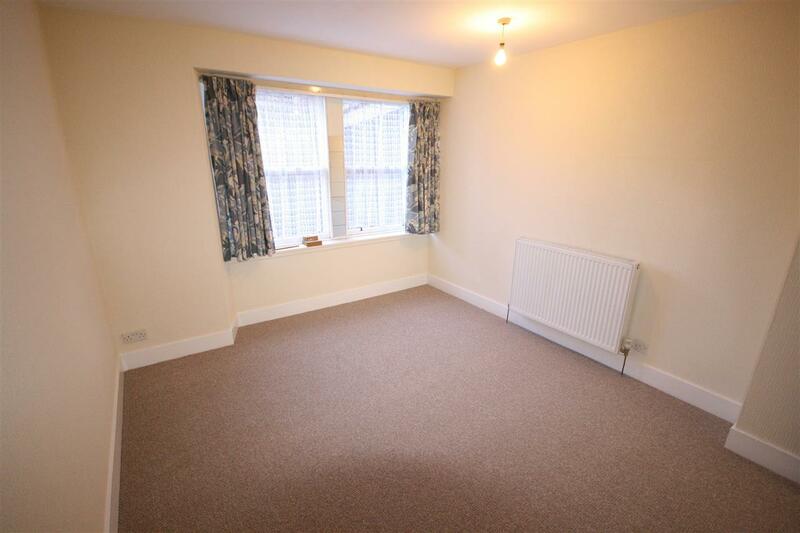 The flat is freshly and neutrally decorated with new carpets provided. 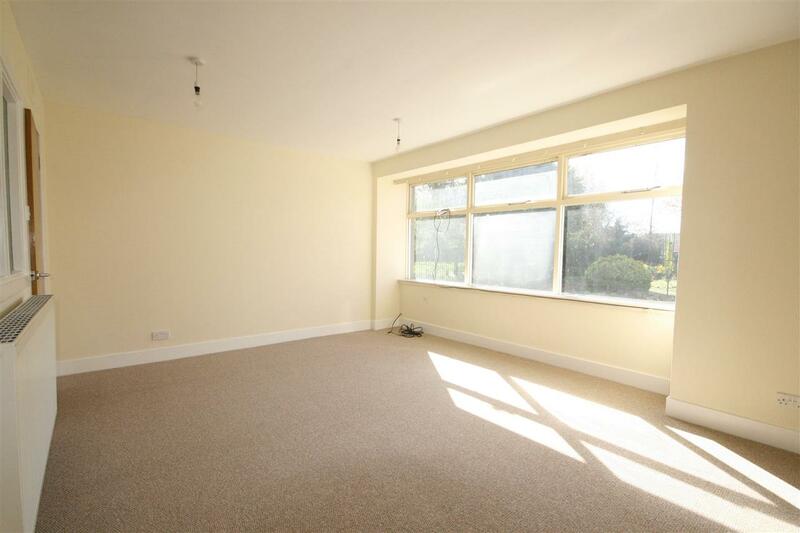 The lounge is a spacious room with large windows to the rear looking over the garden and providing a flow of natural light into the room. 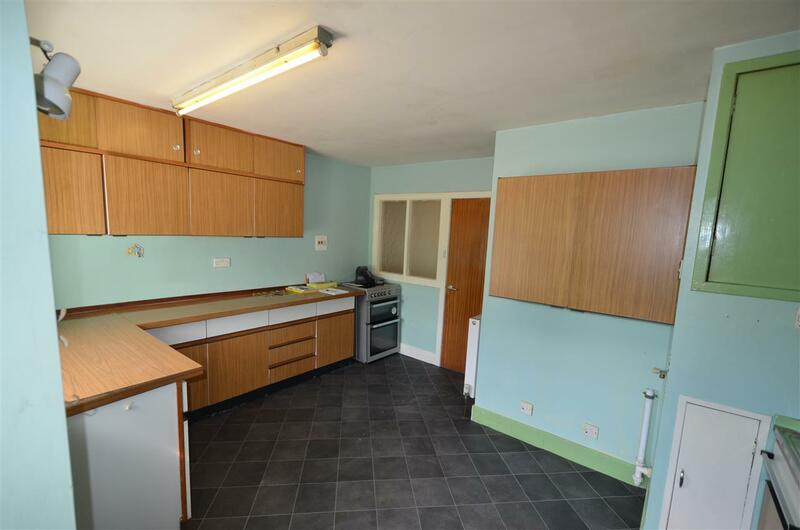 The kitchen offers scope to create a large contemporary space to suit modern needs. 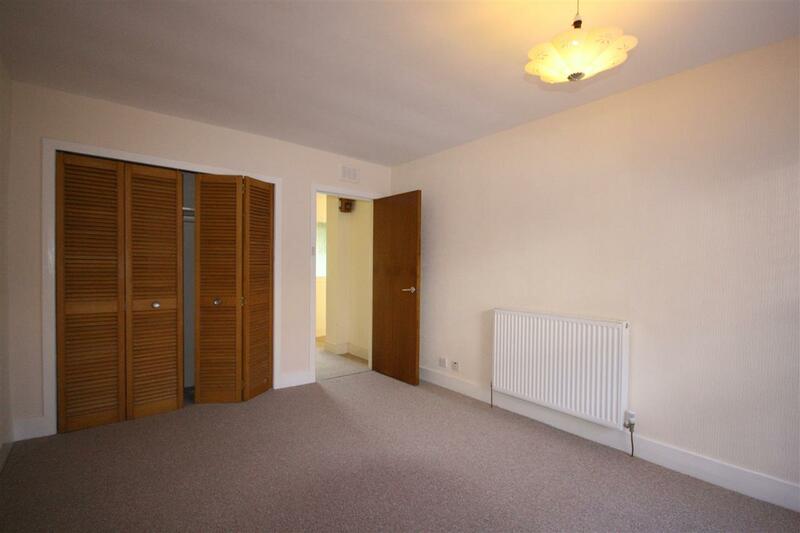 The property provides two generously sized bedrooms both with fitted wardrobes. 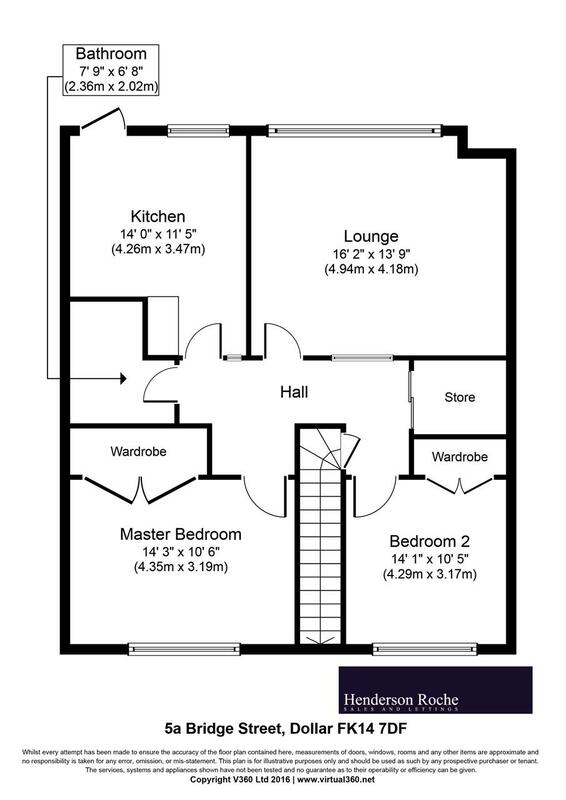 The accommodation is completed with a bathroom comprising a bath with shower, WC and vanity wash hand basin. 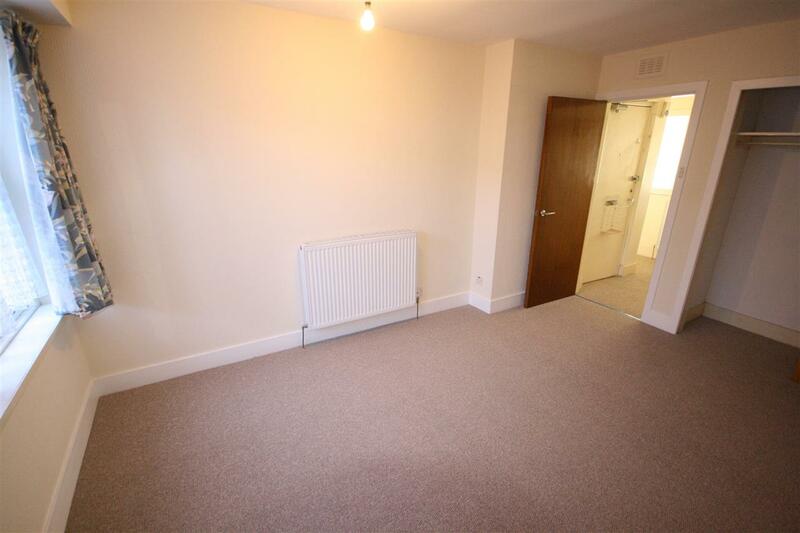 The property benefits from gas fired central heating with a recently installed condensing boiler. 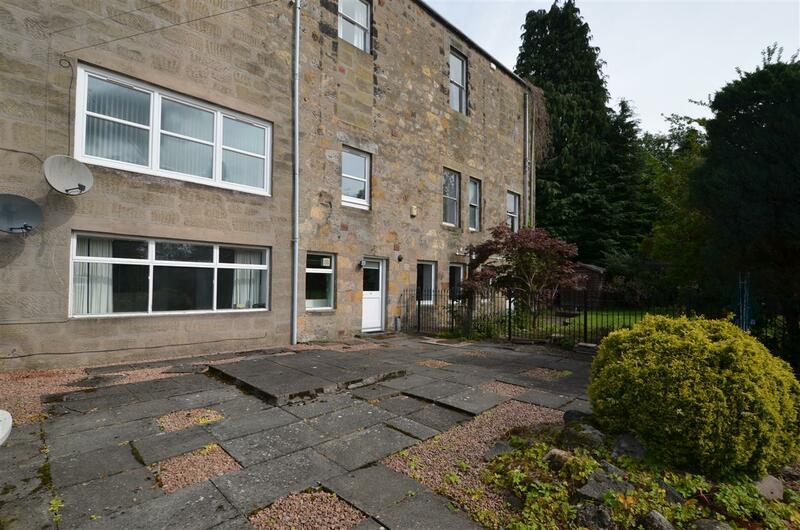 The property enjoys an excellent location within the popular Hillfoots town of Dollar and is within a short walking distance of a great range of amenities for all daily requirements. 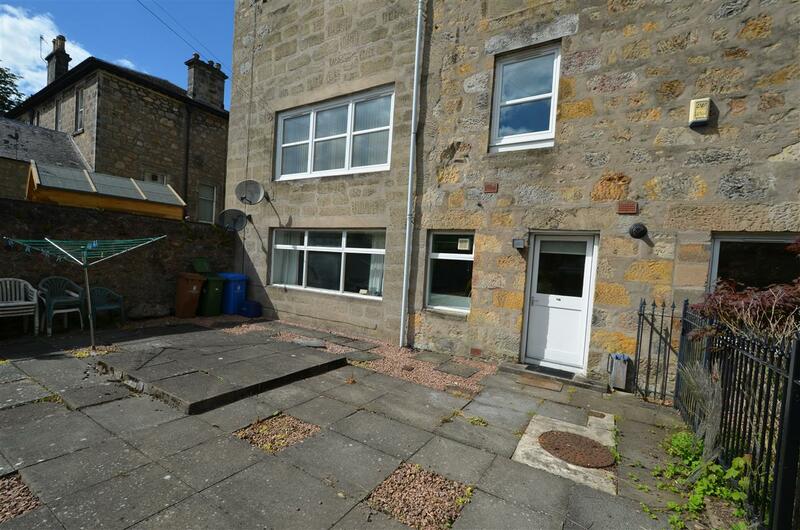 Dollar has fantastic access to commuter links and is within easy reach of Stirling, Edinburgh, Perth and Glasgow.